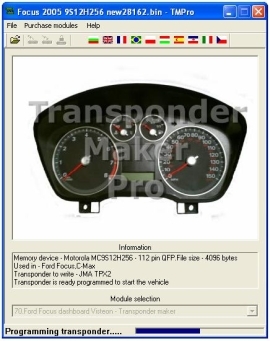 The information for programming, registering keys or immobilizer override procedures contained in this page and throughout this site is taken directly from original manufacturer OEM manuals and literature available on-line. As you all know OEM Service manuals and literature are not known for their easy to follow instructional format. The OEM information has been either pasted and or translated to "Plain English" and into it's simplest form for the average user to understand. Please note that us ( Ducati Parts Unlimited ) and all OEM sources are NOT perfect and we do at times make mistakes, so use this information at your own risk. Ducati Parts Unlimited will not be held liable for any issues or problem arising from the use, misuse, misunderstanding or misinterpretation of the information contained within this page or within this website. ALL Owners, Service and Workshop manual LINKS contained within this site DO NOT belong and are NOT hosted nor endorsed by Ducati Parts Unlimited. We simply provide the links to where you can find them on the web for FREE. With the above being said and by you continuing to read this section or any other section of this website you are releasing Ducati Parts Unlimited and any of its employees and affiliates from any liability. This DOES NOT affect or applies to our PARTS and SERVICE GUARANTEE. Our parts and services all come with their own Ducati factory or Ducati Parts Unlimited satisfaction guarantee. Some keys can be cut simply by you providing us the mechanical code on your code card, others must send in a working key or your ignition lock. There are two(2) types of processes to copy or duplicate a key, CLONE and PROGRAM. Some keys can be cloned while others MUST be programmed. Please do not confuse the two. When searching for a local locksmith to do the work for you is best to go in person after you have confirmed they have the equipment ( list bellow ) to further assure they are capable of doing the work. Basic rule of thumb is... ( If they can "read" your key and their equipment is capable of cloning and/or programming, then they can duplicate your key using my blanks ). Most all keys can now be cloned. Cloning is the process to duplicate the cuts and the transponder's electronic signature within the key. Cloning can ONLY be done by a locksmith or shop with transponder key cloning/programming capabilities. You cannot do this yourself on the bike, NOT DIY. Bikes DO NOT have the ability to "write" info onto chips, they can ONLY "read" the information in your keys. If you want your new blank key cloned then select the cloning option from the pull down menu from the order page. Cloning is not complicated if the locksmith doing the work is familiar with his equipment. This video shows you the typical process to "CLONE" your original key into the blank transponder key you can purchase from us. It's copy write and all credit goes to its intended owner. All keys even the newer High Security/Laser keys can be programmed by either a DIY or by a locksmith depending on the bike model. The catch is that some models require you to have the RED programming key or the ELECTRONIC code or even the DASH PIN in order for the system to allow you to enter programming mode and allow you to register the newly coded keys into the immobilizer system. If you're unsure whats needed for your Make/Model please see bellow under your make/model, if your model is not listed consult your Service Manual (Some manuals are also available for download FREE bellow). Programming is a bit more complex than cloning. This process requires the locksmith to extract info either from the key or from Dash/ECU/Ign Module, translate it and write that code onto a new chip with specialized equipment and software. Some of the machines bellow like the TMPro-2 will clone & program keys. Here are a few screen shots from the TMPro programming process. Bellow I have listed a few of the most popular key/transponder cloning/programming machines in use today by locksmith professionals. Use this list when calling local locksmiths to ask them if they have the proper equipment. NOTE: Some Walmart's, Home Depot, Lowe's and Ace's Hardware stores have been known to have the equipment to clone and cut Ducati keys, yes even the high security laser keys. We suggest you go in person to investigate your local stores and confirm wither or not they can do the work. Remember, if they can "read" your key then most likely they can "clone" it. Registering is the procedure used to register (most times called programming) new keys into your immobilizer system for recognition. The procedure varies from model to model. Models that use the RED Programming keys ( Most pre-07 models ) will use such key in order to enter programming mode followed by a series of "IGN ON / IGN OFF" sequence with old and new keys to register them into the system for recognition. Non-Red Key models ( Most post 07 models ) will use the "ELECTRONIC" code from your code card plus a series of hand control sequence in order to enter programming mode, followed by "IGN ON / IGN OFF" sequence with old and new keys. Some models (Diavel, MTS 1200, Panigale, Scrambler, M821, M1200) can ONLY have new keys registered/programmed by your Ducati dealership or a shop with the proper equipment (Ducati DDS "Ducati Diagnosis System") YES we have a DDS and can do this. As an added bonus if you are replacing a lost key, a key someone took ( Angry Ex-wife/girlfriend ) that you no longer want them to have access to your bike OR a key you never received from the original seller/auction, this process will also remove those keys/codes from the immobilizer's memory rendering those keys useless to its current holder ( ONLY to engine start, they will still work the physical locks ). BUT we can change the lock combination of most locks to keep that from happening. 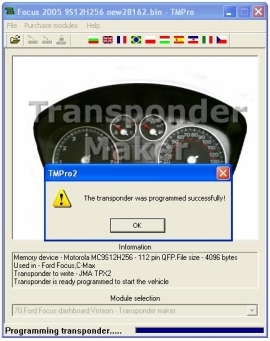 If you purchase a Pre-Programmed key from us (Keys by Code) then this means the key will come with its transponder chip pre-programmed with a code ( Based on your Code Card Information ) so now it just needs to be registered into the bike's immobilizer system thus allowing the bike to recognize it and allow engine start. Please note that in order for you to "Self Program" or "Register" a new coded key into your immobilizer system you'll need to have either your RED key (models that use the RED master key system) or the "Electronic Code" from your Code card. No other way of Self Programming or Registering is possible. For more information and clarification of BLANK vs CODED (Keys-by-Code) keys please read the "Duc-101" Section of this site. NOTE: Each step MUST be completed within 15 seconds of each other. We often get asked a lot of questions about the ECU and immobilizer built into Ducati motorcycles, and they do seem to reset themselves from time to time, especially if the battery drains for any length of time. Symptoms are typically that you can no longer start the bike using your normal key(s). The LED flashes once. Duration indicates whether the immobilizer is blank or has been programmed. A 2-second pulse indicates a blank immobilizer (this occurs when one step of the programming procedure has not been performed within the specified time limit). The procedure will have to repeated. If the system is OK, the LED stays off. the LED flashes four times to indicate that the engine control unit has been programmed, but the immobilizer is blank. NOTE: You MUST have your Electronic Code and a minimum of 2 BLACK keys to complete the programming process. (Black keys cannot be copies of each other). 2- Dash should now display "CODE"
NOTE: You MUST have your Electronic Code and 2 BLACK keys to complete the programming process. (Black keys cannot be copies of each other). 2- Dash should now display "PRO 00000"
If the procedure was successful, the Dashboard will display "PROG" fixed for 3 seconds and then go back to normal display. If either the 3-second countdown after Key-On, the 15-second countdown after Key-Off reach zero or if programming procedure, sequence or timing is incorrect, the Dashboard aborts the programming and will display "OFF" for 3 seconds and then go back to normal display. You must start all over. Please note that in order for you to be able to override the immobilizer you'll need to have either your RED key (models that use the RED master key system) or the "Electronic Code" from your Code card. No other way of overriding the immobilizer system is possible. For more information and clarification of immobilizer and code recovery please read the "Service-101" Section of this site. ** NOTE: The "CODE" option will ONLY display if there is an immobilizer error. After override, the immobilizer will be disabled until you turn ignition off. NO SELF / DIY Key Registering (Programming) is possible for these models. Keys MUST be programmed by a dealer or a shop with the DDS computer, like us for much less. We can also clone/copy any of your working keys. Contact us for details and pricing. The Vespa additional key programing process is pretty simple and doesn't involve any complex or expensive dealer equipment or require you to have Mechanical or Electrical engineering degree. The electronics and programing in the Vespa BROWN Master Key does all the work for you. All you really have to do is some quick key IGNITION ON/OFF switching. You will need your master (brown) key, and any OEM blue keys to be programmed. You can program multiple blue keys in the same session, so if you have more than one, have all of them ready. NOTE: If you purchase a BLANK key from us then you DO NOT need this procedure. Just CLONE/COPY any working key and USE. 1- Insert brown key into the ignition. 2- Turn it ON and then OFF (within 2 seconds and WITHOUT staring engine) then remove. 3- Insert blue key into the ignition. 4- Turn it ON and then OFF (within 2 seconds and WITHOUT staring engine) then remove. 5- If you have additional blue keys, repeat step 3 and 4 for the rest of those blue keys. 6- End programming session by inserting the brown key again. 7- Turn it ON and then OFF (within 2 seconds and WITHOUT staring engine) then remove. ON/OFF if above is not working. MORE INFORMATION BEING ADDED AS IT COMES AVAILABLE. IF YOU HAVE AN EDIT, A LINK OR OTHER USEFUL INFORMATION TO SHARE WITH OTHER RIDERS PLEASE CONTACT US AND WE'LL MAKE IT AVAILABLE HERE AS SPACE ALLOWS.